Thermoforming is a manufacturing process we use where a plastic sheet is heated to a pliable forming temperature, formed to a specific shape in a mold, and trimmed to create a usable product. Thin-gauge thermoforming is primarily the manufacture of disposable cups, containers, lids, trays, and other products for the food, medical, and general retail industries. 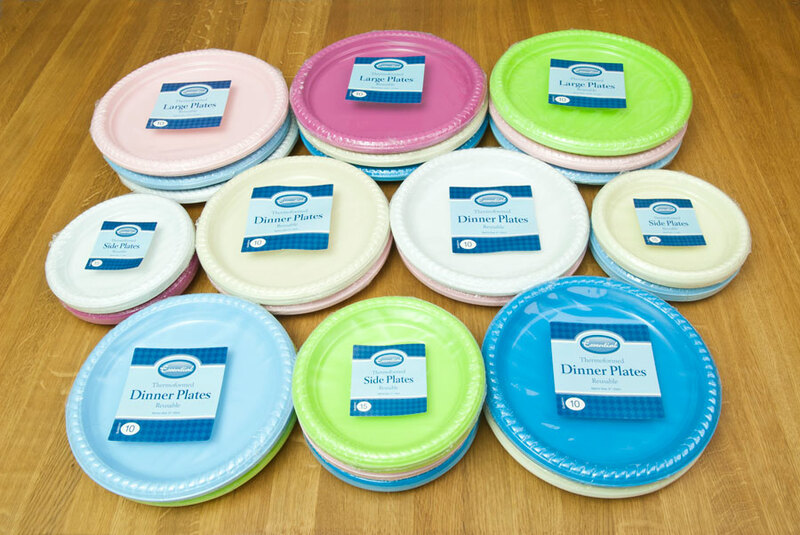 Essential provide a huge range of modern colours to appeal to the consumer and Event planners seeking to cater for Parties, Celebrations, Christmas, Weddings, Barbecues and anything in between! The end of a party will inevitably bring you face to face with the familiar avalanche of plate-scraping and washing up, unless of course you opt for disposable party plates and tableware. Essential pride itself on offering Thermoformed tableware that is practical, stylish and suitable for all Catering needs. 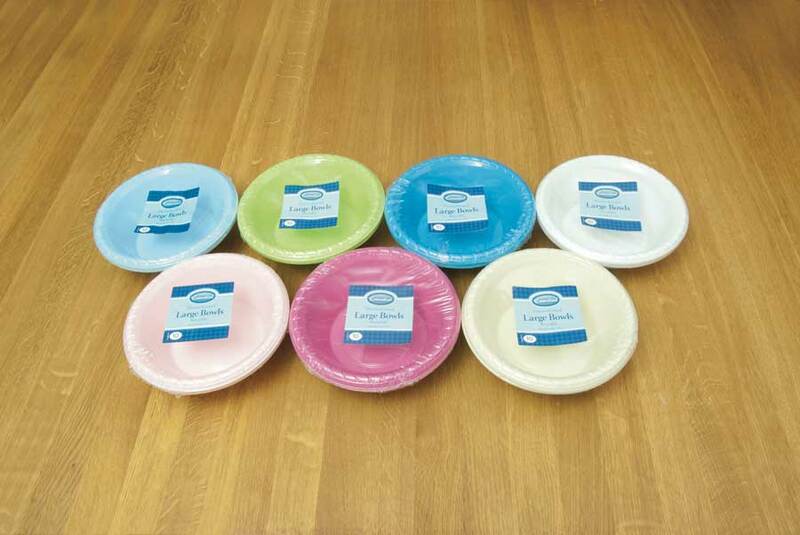 Our disposable party plates and bowls are produced using environmentally friendly methods. Our Thermoformed products are also all biodegradable and reusable. They are strong and sturdy, suitable for all catering needs. 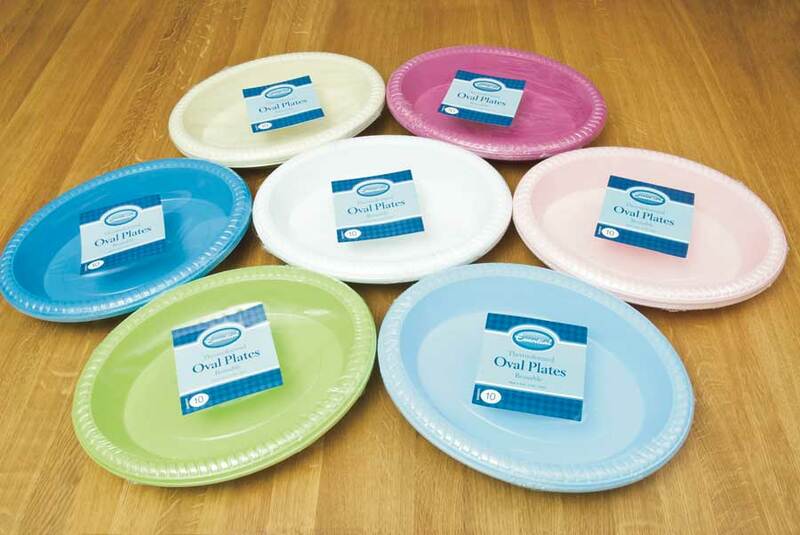 The Essential Thermoformed range consists of various side plates, dinner plates, large plates, oval plates and bowls with various pack sizes. Product Size: 26cm / 10.25"
Product Size: 31cm / 12"